What is curriculum? What do you mean when you say you "co-create" curriculum with your students? What are the challenges of this? And what are the benefits? How do you assess the learning? These are questions that are commonly asked when the idea of co-creating curriculum is brought up. To start off, I'd like to define curriculum as what we teach during the course of a day, a month, a year of school. It is the flesh and blood of our learning, whereas our outcomes (what we are expected to know) which are set forth for us by the Department of Education and the Government of Prince Edward Island, those are the bones. And, just like a body, our bones are very similar, our flesh and blood though, is quite different from person to person, so our curriculum is different, but we reach the outcomes just the same. But what, then, is curriculum co-creation? It is simply, allowing students to have a voice in what they are learning. It is taking their interests and needs into account when planning. It is involving the class in the planning. Sometimes this springs from an idea someone has, or a book we read, or even an outcome we are learning. 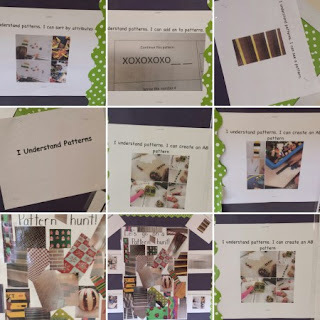 This past year, we really enjoyed learning about patterns. What began as a simple unit, expanded into an exploration of patterns in each aspect of our lives, from the simple two part patterns we create, to the patterns on clothes, in the bricks of the school, the patterns in the books that we read. Later on in the year, we read the book, What Am I? which is about an octopus. 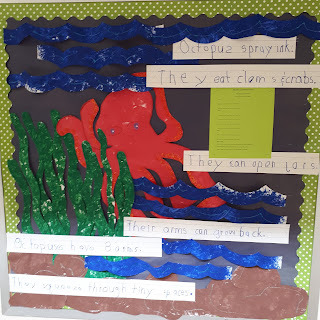 It brought up so many questions that we ended up veering off on a unit about octopus.We were able to cover outcomes from reading, writing, math, science, creative arts, technology, among others. We wrote down facts we read from books and websites, we were able to incorporate our five senses, counting and part-part-whole activities, we wrote a song and wrote a book about what we learned, we were able to use our Chromebooks to discover facts on the internet, as well as to watch YouTube videos with octopus. All of this met specific outcomes that we were working on. What I really like about co-creating curriculum with my students is how it brings in the families as well. The students go home and are excited to talk about what they've learned because it's something that they started, as well as something tangible that they can tell their parents. 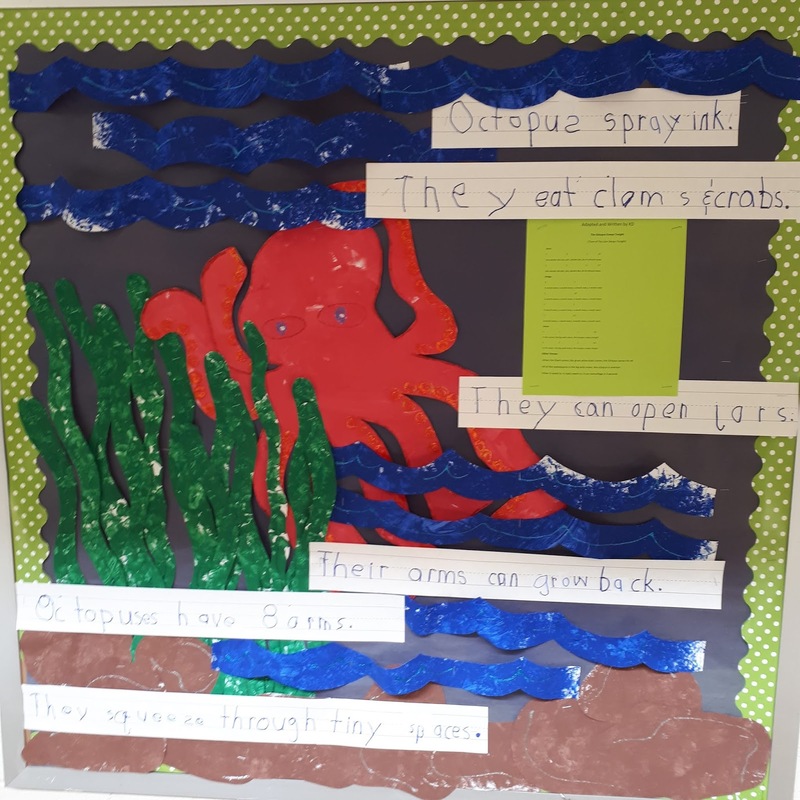 Rather than, "I learned how to say sight words..." they can say, "Did you know an octopus can walk across the ocean floor?" and they can tell their parents where they've learned that. Jennifer Heinrichs, in her article, "The Co-Creation of a “Kinder Garden", (Canadian Children, 2016), says, "Schooling is one form of education. It does not include the entire learning in a child’s lifetime of knowledge attainment. When teachers truly internalize this differentiation, they can begin to weave together a curriculum that supports learning from the home as well," (p.18). Co-creating curriculum with our students, rather than for our students, allows them to share with their parents, and allows me, as the teacher, to connect with families on a more substantial level. But is it more than that? I believe it is. It is learning to self-assess, and learning to understand what expectations are. Too many times, when we ask a kindergarten student what they should be expected to know, they cannot tell you, because they've never been given the chance to critically think about this. But when they are provided them exemplars, and given them time to question and discuss, I find they are quite able to help co-create their own learning criteria. Look back up at the Patterns picture. You will find a photo that says, "I Understand Patterns". How did they know they understood patterns? Because we discussed everything that they would need to know, and put that into practice. They were able to say, "We know what patterns are because they repeat themselves." "We can sort, based on attributes" (I always like to give them the proper words). And, "We can complete other peoples patterns." We had a wide variety of experiences around patterns, and developed our own criteria. It isn't always easy to teach this way. It takes a different way of thinking than the typical educational model. Sometimes I have to defend what I am doing, other times I am commended. But, in the end, I teach this way because I know it is best for my students and their learning. Do I always teach this way? No. There are certain concepts that must be directly taught, there are expectations that by the end of kindergarten students will be reading and writing at a certain level, and there are certain math concepts that must be specifically taught. But what I strive to do, is find ways to fit in student interests, even during these direct teaching times. Because, in the end, learning isn't just about what we can do, per se, but rather about how empowered we feel when we are doing it. Co-creating curriculum encourages critical thinking, creativity, collaboration, and communication, all of which happen to be the Four Cs of 21st Century Learning. I believe co-creating curriculum, and its assessment pieces creates learners of today and sets us up to be learners for tomorrow as well.